I've been revisiting my “Do This Differently Next Year” document (currently at twelve single-spaced, glorious pages) more frequently as the school year wraps up. I want to write about my favorite success of this year, one that I will replicate and expand in full force next year: the notebook. You know, that stack of bound pieces of paper where people can write stuff. Disclaimer: This is the least innovative thing in the universe. Students taking notes while learning is like the most obvious and not-interesting thing that has been in classrooms since the dawn of time. I realize this. But still! Hear me out! 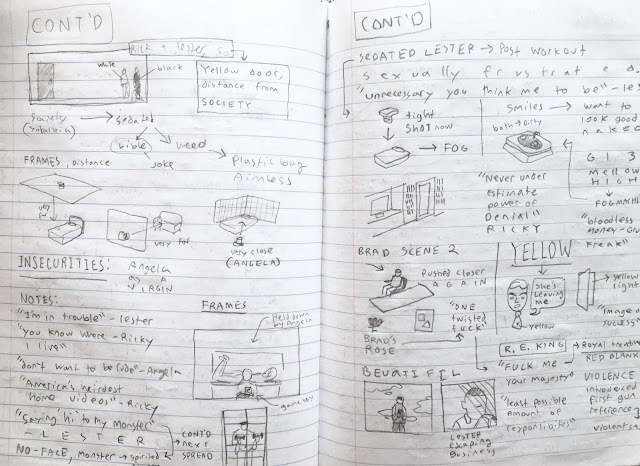 I never actually required note-taking before. Or really taught kids how to do it effectively (jury’s still out on that part). 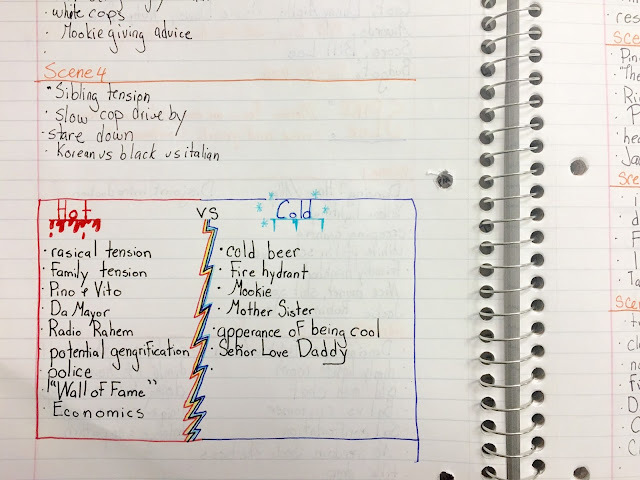 I’ve always just kind of assumed that good students take notes. That everyone surely learned this before high school. It’s always on the syllabus that they need a notebook for our class, and I’ll regularly say things like “Be sure to write this down” or “Put this in your notes, please.” But that’s about as far as I ever took it. I never followed up. This past spring (in my tenth year of teaching, mind you -- I knowwww) was the first time I decided to approach student notebooks with seriousness. 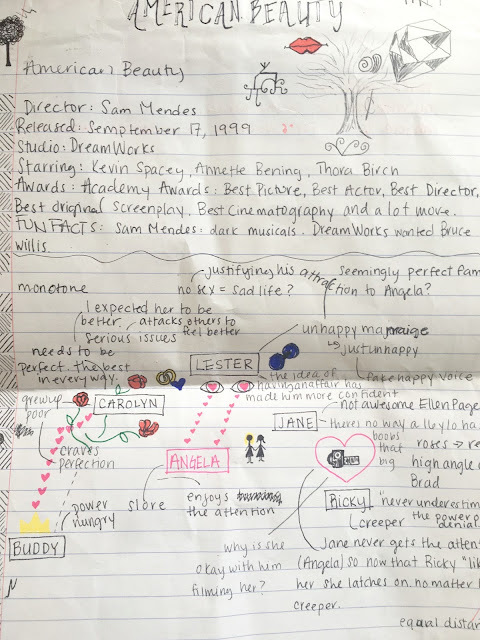 I did this with 12th graders in Reel Reading, a film studies English elective. On the first day of class, I established fresh expectations. Students needed a dedicated notebook for our class, so I encouraged them to obtain one that they love. I told them what kinds of things they could expect to write down, how often I would be checking it, and how it’s being graded. Why, yes, I do have a rubric. 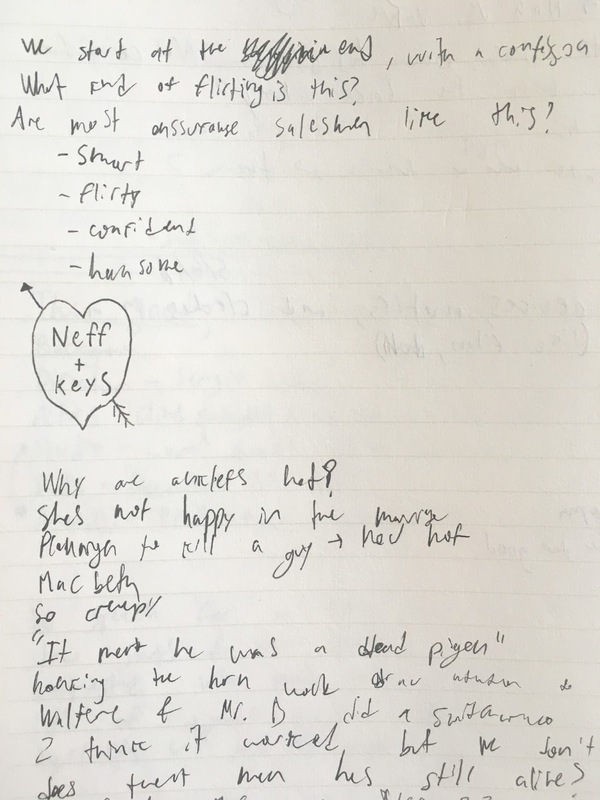 We talked about making notes, not taking notes. 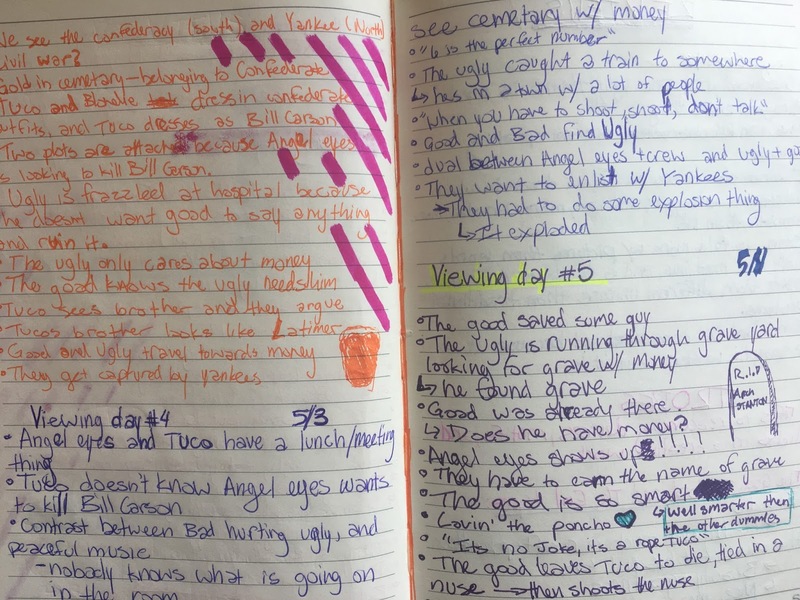 Notes are made when your brain is processing information and reframing it in your own words. 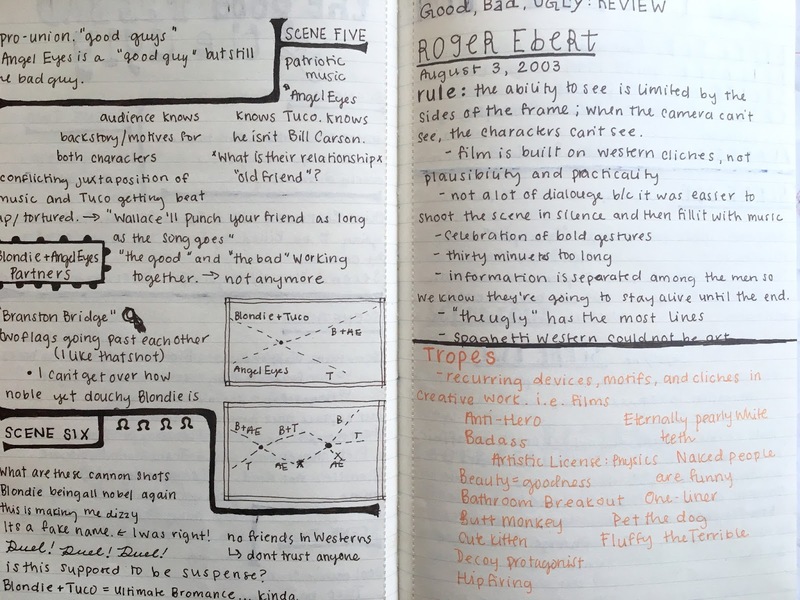 Even if you never look at your notes again, your brain has already worked more effectively in simply writing them. 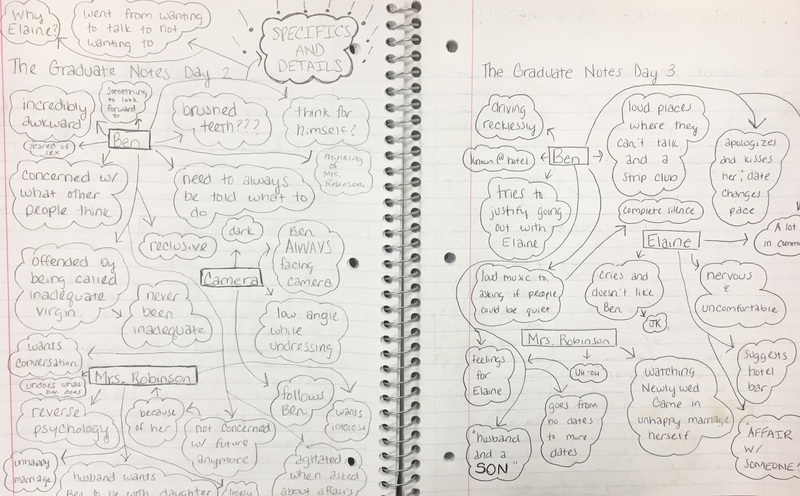 I also shared with them a Pinterest board I made called “Class Notes” so they could gather inspiration. I talked about how different people’s notes look different, and organization and creativity take many forms. 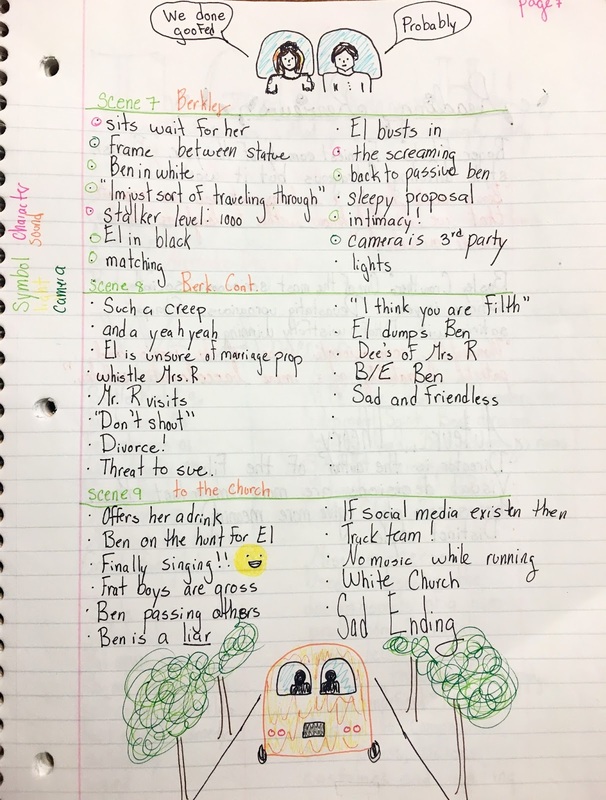 The larger goal was for students to feel comfortable with note-taking in all sorts of endeavors beyond our class, so it would be important for them to personalize the process and take ownership of what works for them. 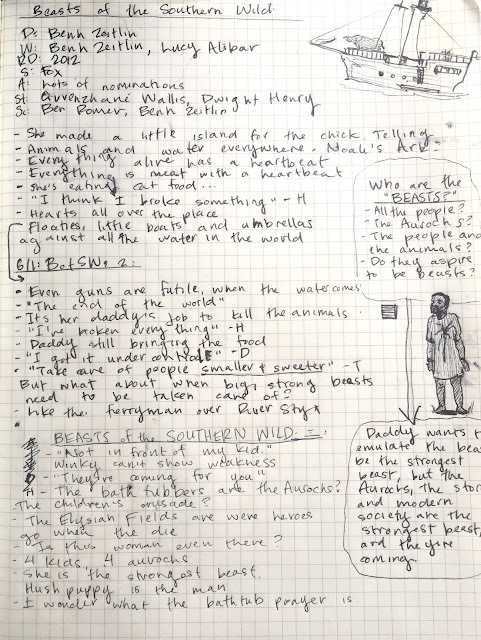 From the outset, different students approached the notebook in different ways (like I hoped they would). 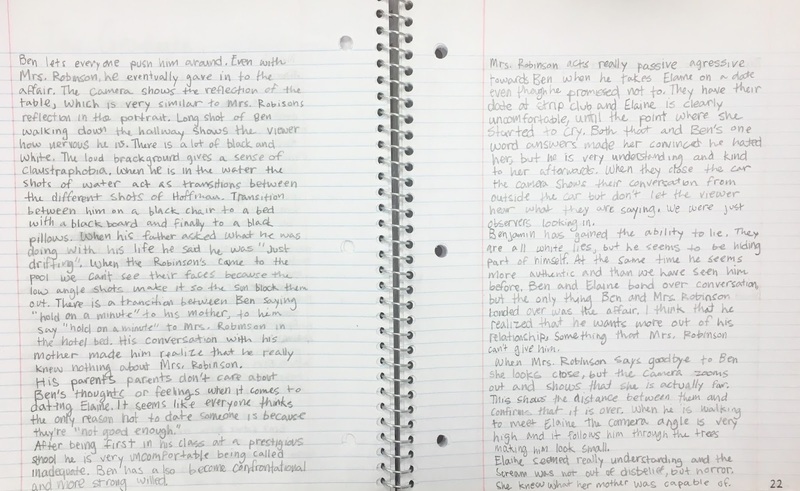 Some students went out and purchased a fancy new notebook. 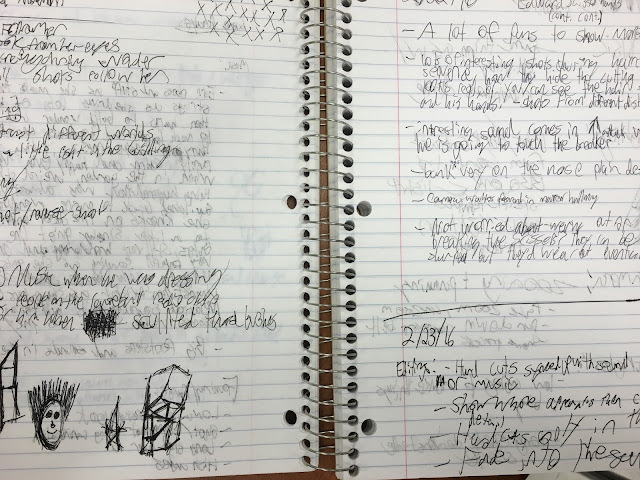 Some students dug up an old composition book or recycled a previously-used one. One student grabbed a bunch of copy paper and a staple gun from the engineering classroom. 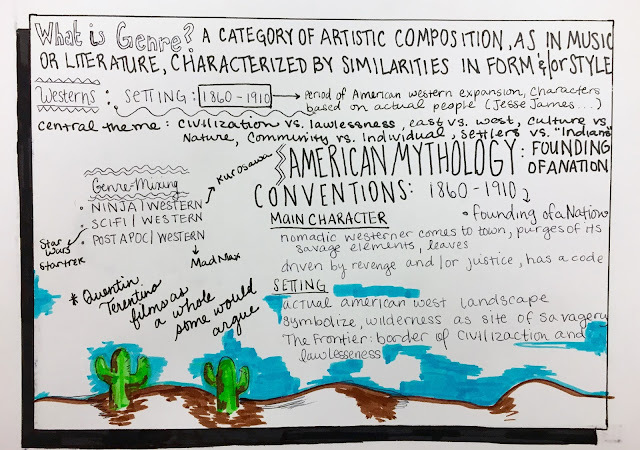 And throughout the semester, students evolved their own note-taking styles. 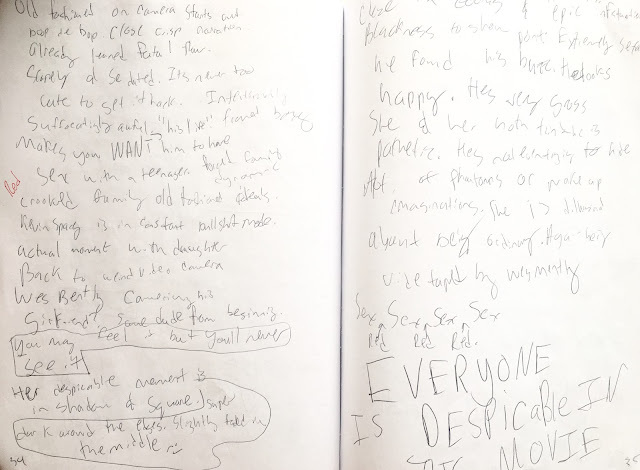 Some furiously scribbled everything, and others struggled to figure out what to write. Some brought pouches full of pens and art supplies and went to town, and others whittled the same pencil down to a nub. Some organized information linearly, and others not so much. 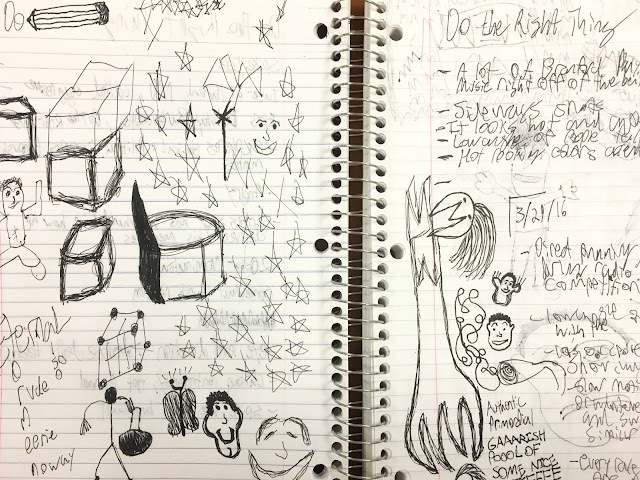 Some were asked to put their notebooks away in other people's classes, and others used them as minimally as I required of them. One layer is seeing how different brains process the same texts. 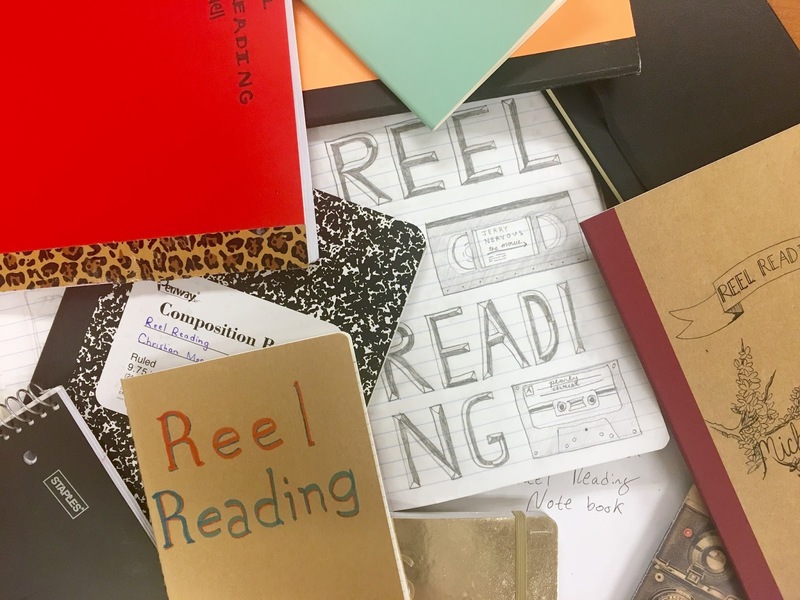 These pages pack a hilarious array of emotions that a person might go through in reading/viewing or in a class discussion. Another layer is the participation/sharing element. Raising a hand and saying something out loud is not for everyone, every day. I've found that the notebook contains so much more than what a student is able to share in discussions. It helps lay the groundwork. The notebook has changed the whole vibe of my class. It’s like every student has an ongoing micro-project at all times. A space for their brain to make things and process things. A space to document the most important ideas and doodle in the margins. No matter how strong their notebook game, every student could benefit from actively engaging in processing information onto paper. If you’re teacher-nerdy and want more specifics, shoot me a note and I’ll pass along some stuff I’ve used. Me! Me! I am teacher-nerdy! Do share any additional information/resources with deborahlbright@gmail.com. Thank you! Wonderful post! I would like more info also please. Hi Amal! 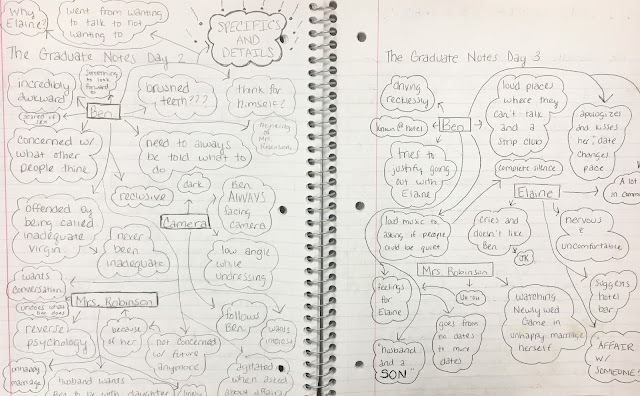 I just finished my first year of teaching and am planning different ways to help students take notes next year. Would you mind sharing resources? emily.longenecker@gmail.com. Thanks! 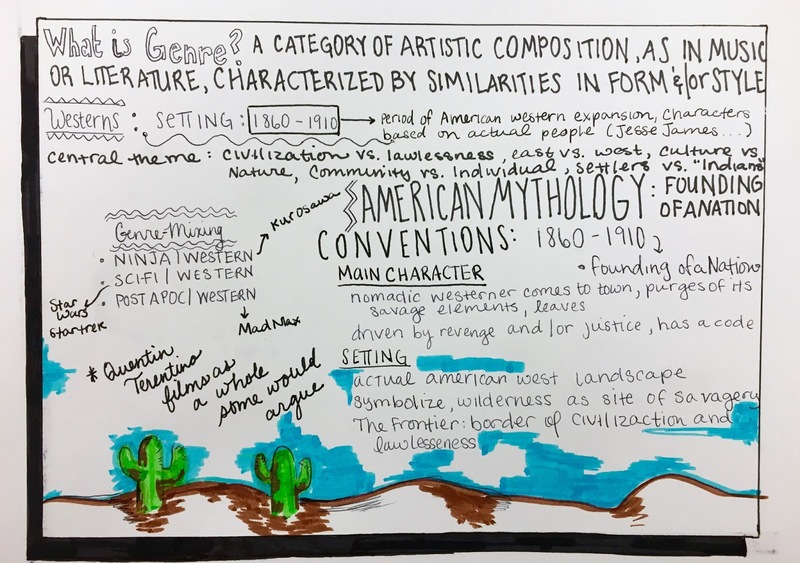 This was a great entry...I included it in my lesson on Note-taking for this year's Summer Bridge curriculum! I would love anything you are willing to share! I'm going into my 11th (or 12th? I have honestly lost count) year teaching and need to change my approach to notes in my classroom. 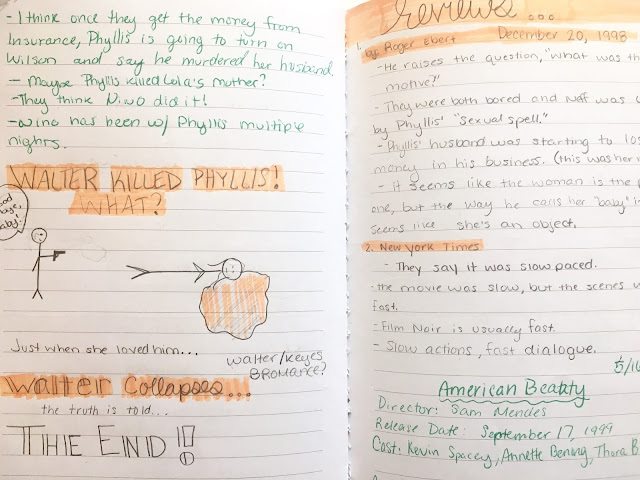 I am planning to use interactive notebooks this year for the first time. Please send me specifics - I'm very interested! I'd love to have anything you would be willing to share. 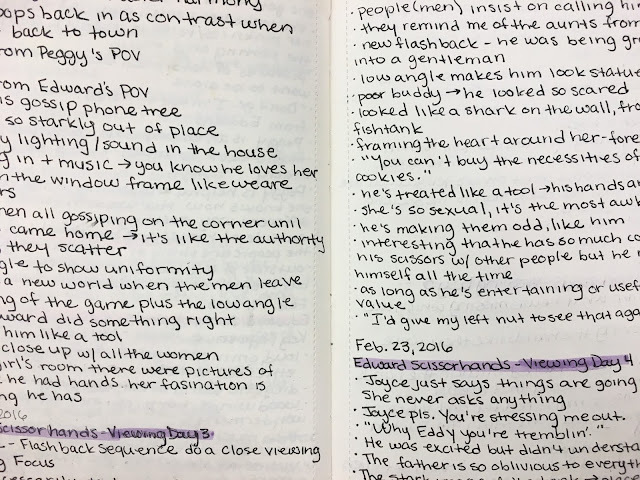 I have always assumed that students take notes bc they should but by the end of the year few students are even carrying a notebook. I'm thinking of placing more emphasis on it this year so I'm looking for anything I can get my hands on. Thanks! Hi Amal! I'm a nerdy mcnerd and am so pumped about how you did this and some of the resources to get it started in my room. Ninamlane416@gmail.com. I appreciate your post and willingness to share. So pumped to get my kiddos engaged in note taking. Needy and would love any ideas you have to share. Excellent ideas! I would love to know more! Can you send your resources to anderson.alisha.bhs@gmail.com? Thank you! Awesome post! I would love the specifics of how you did this. My email is adbj83@bellsouth.net. Thanks so much!! I would like to see your rubric. I share your enthusiasm for note-making. 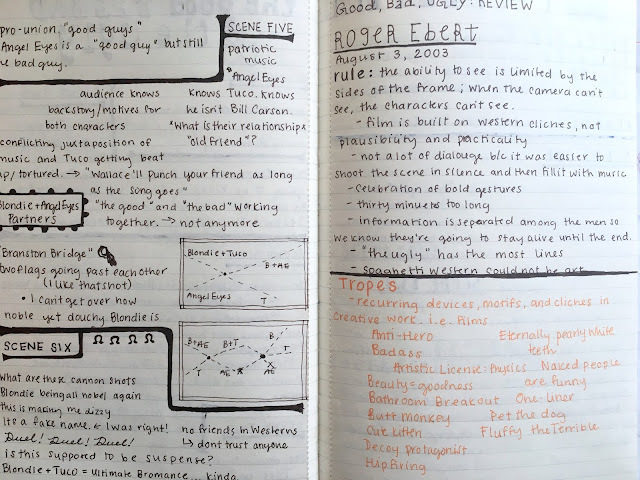 I too would love to see what you use as a notebook rubric. I struggle with this yearly. Thank you for sharing. I totally agree with your observations about reticent students and participation. Do please share with me your note-taking strategies and rubrics!! dratejana@gmail.com Thank you for veering off the sidewalk to engage students in a time learning!! That would be "active learning" -- not "a time" learning. ...more info and the grading rubric...how often do you collect and grade...mona.mendez@rrps.net...thanks!!! Would love the info and rubric! This is what I've wanted to do in my APUSH class! Thank you so much! Hi I am an ESL teacher and am deeply interested in visual notes (sketchnote) and have started to introduce the idea to students in class. I would really love to know the specifics! I think this is wonderful! I'd love any resources you'd be willing to share! aemerson@mail.dps.k12.va.us thanks! Thank you for your willingness to share. I would love to see your resources and your rubric. I would love any information you are willing to share! Hi Amal. 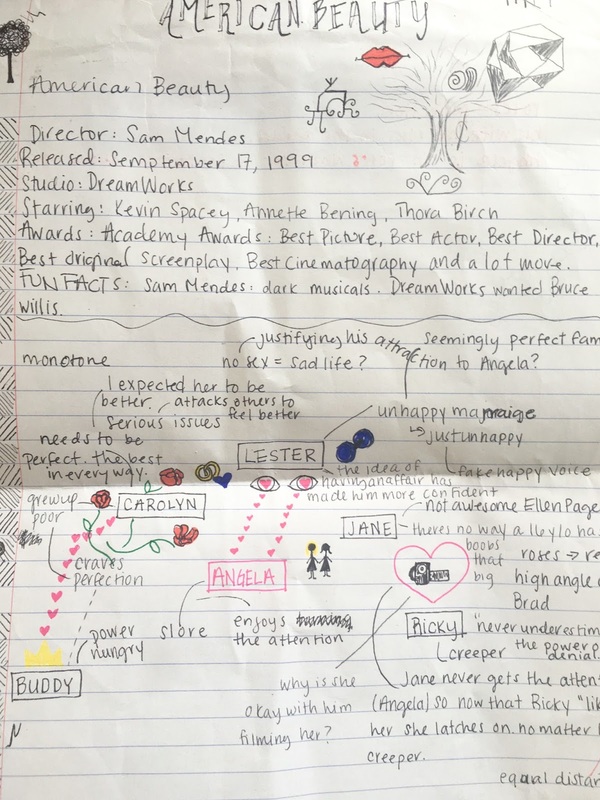 I just came across this as I was researching ideas for a high school film class that I've been asked to teach this year. If you're still willing to share, I would love to see how this works. Email is phsa@gulliverschools.org. I would love more info. I'd like to try this this year. Many thanks for sharing your worthy work. I'd love your rubric and any other materials. Many thanks! I would LOVE anything you are willing to pass along! Note taking is a difficult thing to teach. Thanks. Hi Amal, thank you for this post. I really enjoyed reading it. It's fascinating how different people process information! I love how you've incorporated this into your classroom, and would love some further information if you're happy to share :) A rubric would be amazing! I am a pre-service teacher, and this is certainly high on my list of skills I would love to be able to encourage, develop and reinforce with students. I love this, especially the pictures! 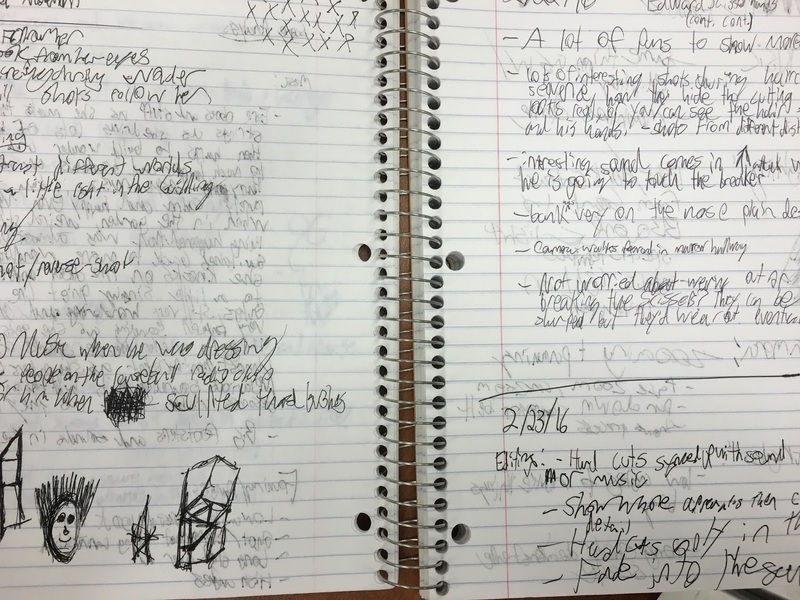 I've noticed that many of my students don't take notes. I try to remind them, but I hadn't thought of making it a required part of the class. Teaching note making--yes! I am gonna try this. Thanks.